This is the season when all of us take time to reflect on all the things we have to be grateful for. 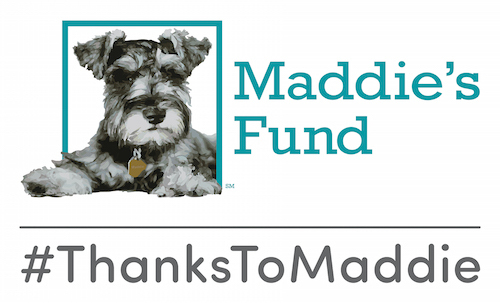 At the Maddie’s® Shelter Medicine Program at UF, that includes the incredible community of students, alums, veterinary professionals, shelters, and animal lovers who responded with such compassion to the repeated natural disasters that struck our country — first in Texas, then here in Florida, then Puerto Rico, and the fires out west. We are honored to be able to educate and support you as you work so hard to help animals everywhere! 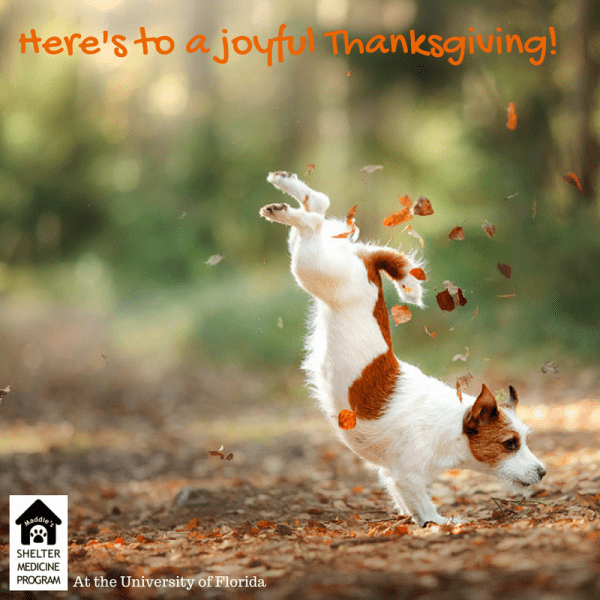 We’re also grateful for our students past and present,; our supporters, who have spread our message and donated to our work; the animal shelters who have invited us in as consultants, hosted externs, and established clerkships, allowing us to be part of their lifesaving efforts; our benefactors at Maddie’s Fund®, and the little dog who inspired their generosity; and our colleagues in the College of Veterinary Medicine — we’re proud to be part of your work!